I hope your week has been panning out well and cheers to the Midweek! So, I have recently started applying eye shadows which was something i have selectively dabbled into every now and then. Since the past few months, I have acquired a few eye shadows that suit me and i have started building up my MAC eye shadow palette (post here). Funny thing is about two years back or so, i was a total eye shadow addict and i had quite a few eye shadow palettes ranging from Sleek to Urban Decay and even Rimmel palettes. 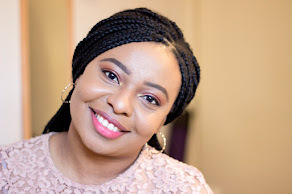 One thing that has definitely improved my application of eye shadows is applying eye shadow primers before the eye shadows and i have tried a couple of them so this is like a mini review of my top eye shadow primers..
What is an Eye shadow Primer? 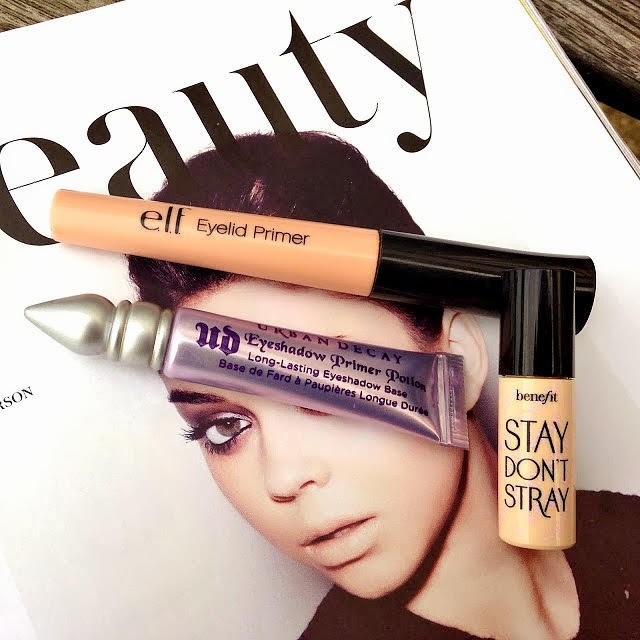 This is a dual primer as it can be used for both the eyelids and under eye concealer. i usually use it for just my eye lid. 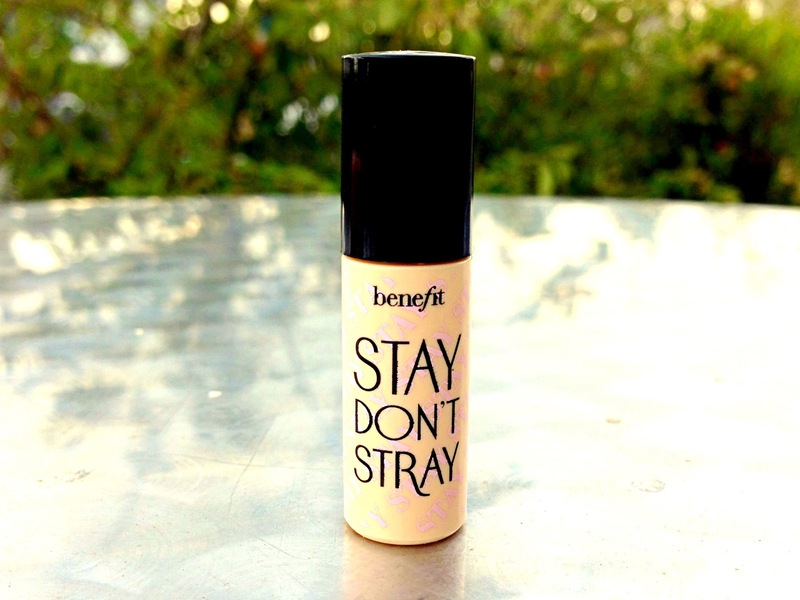 The Benefit Stay Don't Stray primer is one that i really like because it does two things which i look out for a primer; it improves the application and appearance of my eye shadow and it helps it last longer. On many occasions, it has lasted all day and i really like that. I totally can't stand when my eye shadows look beat in the morning and around mid-day, I can't find it on my face :-(. This also comes in a tube with a duffer application brush which i prefer as it prevents excess waste. Its consistency is a lit it pasty but it feels light on application. It's excellent quality and its dual purpose endears it to the hearts of many including mine. I use this when I apply colored eye shadows and i really want it to last all day and stand out against my skin tone really well. This is the ultimate eye shadow primer for me because it ticks all the boxes for me: long lasting; vibrant eye shadows and perfect eye shadow base. 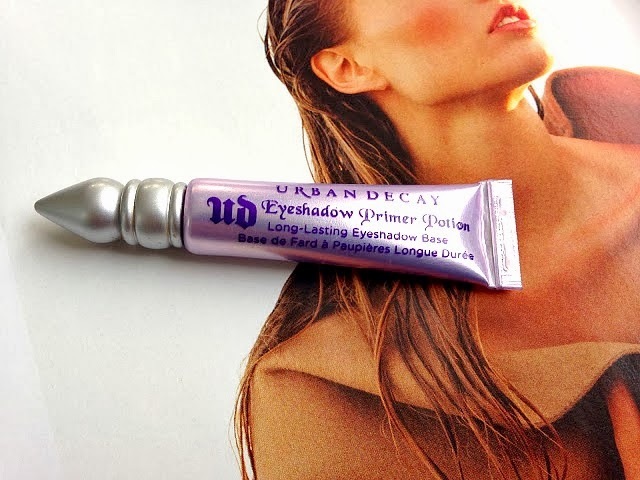 Urban Decay is a brand which seem to specialize on their eye makeup products. I love their eye shadows which are beautifully pigmented and last all day with our without a primer. They understand that the next best thing to a beautiful eye shadow is an excellent eyelid primer to follow. The Urban Decay Primer Potion comes in a tube which has no applicator or duffer brush which is a bit meh! but i still love it anyways. Just like other primers, a little goes a really long way. In addition, it prevents any creasing of my eye shadow which is an added bonus for me. It has an almost pasty texture that may appear a little thick but it blends in really easily on application. I really like this and it is definitely my favourite eye shadow primer. I reserve it for special occasions because the full size is a little pricey but it is worth it. thanks for the review. :) might try one of those.. I am so glad you found this helpful...thanks for stopping by!! 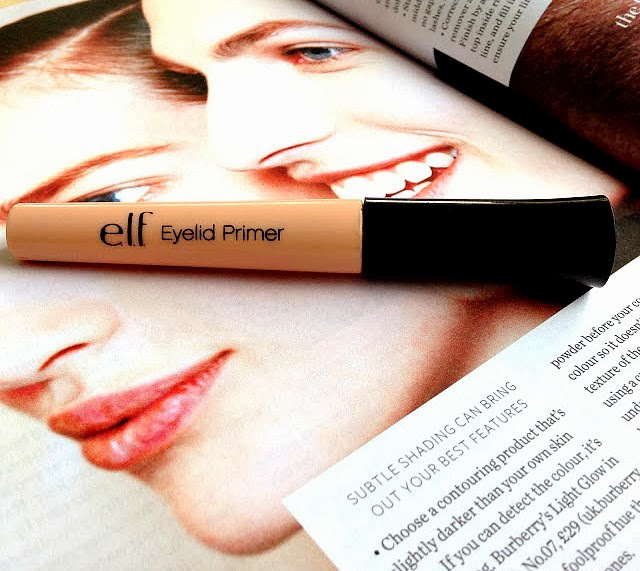 Been on the elf primer for a while now, it's served me well and was very affordable. Heard a lot about the urban decay one, I should try it out soon. Hiya (*waves*), Same for me with the ELF primer and it still holds a special place in my heart. You need to get your hands on the Urban decay primer because they are EVERYTHING!! 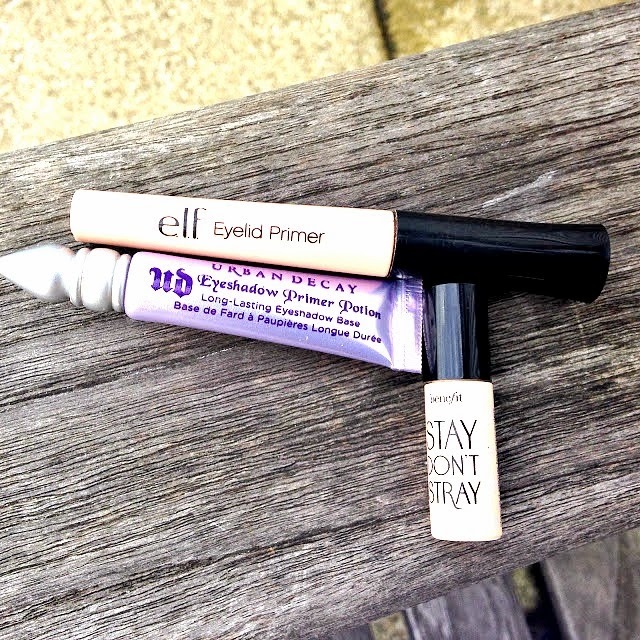 The elf primer was also my first but my favourite is the urban decay one at the moment! You need to try the nars one - no other compares! !